Preparing students to be ready to succeed in international ballet and contemporary companies. The internationally renowned syllabus - ArtistPro International – optimally prepares pre-professional students for an international career in ballet and contemporary companies. The syllabus has been created to enable graduates to emerge as complete dancers who are ready to work and succeed in a professional dance environment. The focus of our program is always on the individual. Class numbers are kept small to meet the needs of each student and recognise and nurture individual talent and potential. Regular opportunities to discuss and set long and short-term goals will be an integral facet of the program. Students will be given access to professional guidance regarding auditions, CV preparation, DVD production and portfolio photos. Safe Dance and Injury prevention are important aspects of a professional career. We have an onsite dance physiotherapist and certified Pilates instructor to support and educate students in the management of their physical needs. SCD is offering Full Time Dance students and Transition students a professional company platform to work with artistic directors and choreographers to grow into the role of a professional dancer. Individually choreographed dances will be designed to maximise each student’s strengths and inspire the growth of artistic expression. Our Winter Showcase and full-length end of year production provide excellent opportunities for stage experience. At SCD we teach our students how to work in a professional company environment. The dancers learn skills and techniques to absorb the style and language of the choreographer and embody their movements and be one step ahead of the other applicants. There is so much more to career preparation than just perfecting steps. Our program offers very specific training to work in a choreographic way and gain the skills to contribute to the choreographic process. The course offers training in: Ballet, Contemporary, Ballet & Contemporary Variation, Girls Pointe & Technique, Boys Ballet Technique, Pas de deux , Virtuosity, Improvisation, Composition & Choreography, Company Repertoire, Studio Pilates (Reformer available), Safe Dance & Injury Prevention, Nutrition for dancers, Performance Psychology, Performance & Audition Coaching, Private Coaching, Career planning, Preparation for auditions & Preparation for national/international competitions and Dance history, Learning Stage Makeup and Hair. The Fulltime program involves up to 20-25 classes per week, plus private coaching and rehearsals/performances. ArtistPro International – students need to have completed RAD Advanced 1 or equivalent. ArtistPro Full Time Dance - students need to have completed RAD Intermediate level or equivalent. ArtistPro Transition - students need to have completed RAD Int. Foundation level or equivalent. ArtistPro Youth Transition - students need to have completed RAD Grade 5 level or equivalent. Members of the SCD teaching faculty all have a professional dance backgrounds at an international level and are well qualified and experienced. 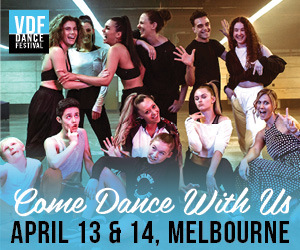 Internationally and nationally renowned guest teachers and choreographers will be invited to impart their expertise to inspire students and broaden their experience. Xanthe Geeves and Gregor Thieler (Principals), Kim Traynor, Paul Knoblauch, Davide Di Giovanni, Emma Jane Morton, Leslie Abraham, Natalie Ayton, Bronte Kelly, Emily Foley, Joel Edward Thomas, Andrea Briody, Catherine Goss, Jason Winters and Shelly Moore. Private auditions can be arranged upon request. 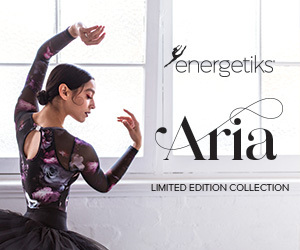 Professional dance career in national and international ballet/contemporary companies. Career as a choreographer, teacher, company ballet master or other dance related fields. Students need to supply their personal details, past experience and level of achievements in dance. The audition is by appointment. Our new state of the art dance facility offers students 3 fully equipped dance studios with sprung floor, tarkett, mirrors, sound system, ballet barres, Allegro 2 Pilates Reformer, 2 changing rooms, restrooms with shower, kitchen, lobby, spacious outdoor terrace, Free WIFI, studying desks. Physiotherapy and Massage available at our premises (by appointment). There is a shopping mall with cafes and restaurants nearby - 2min walk, public transport via BUS is available (connected to train lines). Physiotherapy and Massage available at our dance center (by appointment).